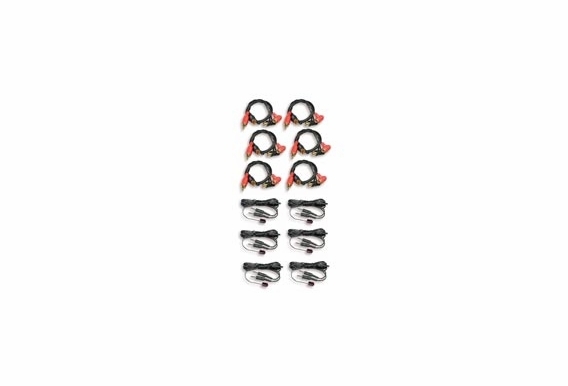 The Model MDS-PCK 6x12 Patch Cord Kit includes six stereo audio breakout cables and six dual-input IR emitters.The kit allows connection of six audio sources to two MDS-6A amplifiers. The two MDS-6A amplifiers can create up to 12 independent speaker zones that distribute audio from the six sources. 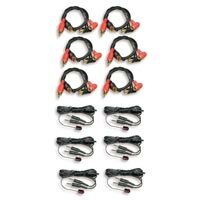 The six dual-input IR emitters route IR remote control signals to each of the six audio source components. NOTE: The whole-house-music and system on/off commands issued from a speaker zone control keypad will only effect the MDS-6A unit that the keypad is connected to.